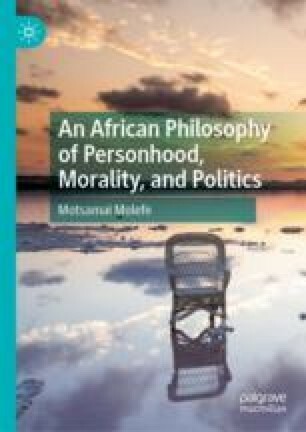 In this chapter, Molefe explores the way in which the issue of (supererogatory) options affects our understanding of personhood-as-morality. Options, on deontological approaches to morality, delimit morality: they provide room for non-moral pursuits beyond our strict moral duties. Molefe’s central question here is whether the idea of personhood takes morality to be unlimited (anti-supererogatory) or not (supererogatory). He argues that the idea of personhood should be understood as able to accommodate options.